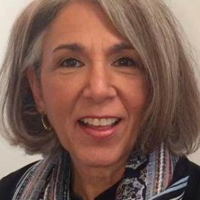 Ms. Lynda Lieberman Baker is president and founder of the Austin, Texas-based consultancy, MeetingSolution and a leader in the field of group process consultation and meeting facilitation. She is skilled at convening both small and large groups and specializes in working with passionate stakeholders addressing complex issues which require actionable results. Lynda has worked within organizations as well as an external consultant – for public and private organizations and multi-million dollar businesses. She has presented at several professional conferences in North America and Asia. Her 30 years of organization development, training, strategic planning, and facilitation experience has focused on higher education, government, the non-profit and private sectors. Cited as a creative senior-level organizational development professional with a passion for finding the right process she skillfully facilitates collaboration for problem-solving, decision-making and action planning. Her insights enable her to help groups surface the necessary clarity that leads to productive outcomes across organizational levels. She has served on the board of directors of the International Association of Facilitators (IAF), as past president of the Austin, Texas chapter of the Association for Talent Development and on the regional board of the Southwest Facilitators Network. Her co-authored chapter on facilitator competencies appears in the landmark publication, IAF Handbook of Group Facilitation, (Jossey-Bass, 2005). She also served on the editorial board of IAF’s Group Facilitation: A Research and Applications Journal. The Employees Retirement System of Texas manages benefits for employees and retirees of Texas State agencies and select higher education institutions. With a history of hierarchical strategic planning, the new executive director seized on a vital planning requirement as an opportunity to turn what had historically been an executive level product into an agency-wide participatory event that signaled a new agency culture of engagement. Over several months, Lynda Baker worked collaboratively with executives, directors, and managers to craft a vision, identify blocks to that vision, and set strategic directions to steer this agency of 200+ employees. She was retained during the next revision cycle to facilitate that process as well. With rock-bottom ratings of manager performance reported in an agency-wide survey on employee engagement, executive leadership identified management training as a top priority for the Texas Education Agency. The 1,000-member agency hired Lynda Baker as part of an initiative to design and deliver a comprehensive management-effectiveness curriculum. After developing a competency model, she successfully delivered five courses: Leadership Insights, Managing Team Resources, Coaching for Success, Addressing Performance Gaps and Communication Skills for Managers. Within two years, the agency boasted manager performance ratings as one of the top three features of the agency. She also designed and delivered: Crucial Conversations for Team Performance and I=Speak Your Language. The Texas Department of Information Resources provides technology leadership, solutions, and value to Texas state government, education, and local government entities. One of the critical reports that the agency generates is the State Strategic Plan for Information Resources Management; a report intended to drive technology innovation at state agencies and institutions of higher education throughout Texas. Every other year, 15-20 prominent leaders from among government information resource managers, practitioners and executives are convened to provide counsel to agency staff on the critical technology drivers for their attention. Lynda Baker was solicited to facilitate these collaborative advisory committee meetings over several years. Three of the 28 regional Texas Workforce Development boards in Texas were convened to explore strategies to collaborate in the central Texas region. After a competitive consultant selection process, Lynda Baker’s MeetingSolution team was retained to conceptualize, plan, and facilitate a day-long meeting of more than 50 board and staff members. The objectives were to share priorities and examples of current work, come to a data-driven understanding of universal labor force and area employer issues, and identify opportunities to coordinate and share information and build trust and a sense of shared purpose among board staff and board members. In addition to consistently positive participant reviews of their experience of working together, achieving the objectives, and successfully collaborating for the region, six action plans were drafted to pursue mutually-reinforcing activities, and the executive leadership enthusiastically owned all products. When the Texas Education Agency was faced with reducing their 1,000-employee agency by 30%, Lynda Baker trained and deployed a 50-member peer support team to assist departing employees as part of a reduction-in-force; successfully assisted in the management of a compassionate separation process. The Texas Department of Information Resources (DIR) assigned Lynda Baker the challenge to facilitate several high-stakes meetings with state agencies and government vendors resulting in collaborative problem solving, critical decision making, and thoughtful action plans. During her tenure as a Strategic Communication Specialist for DIR she also designed and facilitated a meeting on behalf of the Texas Department of Information Resources for 100+ state agency representatives to develop remediation strategies for legacy IT systems; created several viable options to meet stakeholder needs. Designed and facilitated,several cycles of the strategic planning processes for a professional association of several thousand members in multiple divisions, regions, chapters, and committees over several years (Texas Counseling Association). Designed, facilitated, and managed a multi-month process to explore a collaborative structure for delivering a continuum of support for youth and families experiencing crisis; this multi-stage change initiative involved 100+ stakeholders from six social service non-profits and created the foundation for a successful merge which today serves 6,000 central Texas families annually through 20 programs (LifeWorks). Designed and facilitated sustainable strategic planning process for an interfaith service organization transitioning into new branding, service fields, and leadership models. (Interfaith Action of Central Texas). Collaborated with faculty leadership to design and facilitate a process to determine priority diversity and inclusion actions and associated resources (University of Texas School of Social Work Diversity and Inclusion Committee). Facilitated strategic planning onboarding sessions for a private investment firm’s newly acquired portfolio companies. Business owners and new management teams leverage shared values and interests to pursue objectives and accelerate growth (private equity firm). Created unprecedented cooperation among representatives of major industry associations by facilitating 2 summits to develop guiding principles for industry best practices; client reported that Lynda did a “masterful job steering us out of the ditch and back on the highway” (National Exhibition Industry Summit). Facilitated municipal technology management team meetings, shifting the group from a silo culture to an engaged team of 40+ members eager to pursue collaborative relationships (City of Austin). Facilitated a meeting of the district judges and staff to evaluate strategic initiatives and goal accomplishments, update plans and develop a framework to monitor strategic plan progress (Travis County District Court).